Sports betting has become an inevitable part of big casinos and it seems that Ocean Resort Casino will be no exception. The resort, which is opening on July 28 will add sports betting to its offer, thus attracting sports and betting lovers to visit it. They plan to sign an agreement with William Hill, which is a platform that currently has more than a 100 sports and race books only in Nevada. Furthermore, William Hill also has a mobile app and an online platform which also offers a wide variety of betting options. The news about the partnership between Ocean Resort Casino and William Hill was announced by the latter on Tuesday. Joe Asher, the CEO of the US part of William Hill stated that they were very excited to partner up with Ocean Resort Casino and become a part of this great resort. He added in a statement that they had had great success with working with the senior management of Ocean in Las Vegas and that they were really excited to be given a chance for further cooperation in Atlantic City. He went on and said that this would probably be the best sports book in town. The officials at William Hill also announced that they would bring a sports book that will stretch over a 7,500-square-foot surface and that it would include also a bar, video viewing, and even the InPlay betting option with the odds that will follow it. Some of the sports that were mentioned were football, baseball, basketball, hockey, tennis, and soccer. Why was sports betting introduced? The introduction of sports betting to this casino resort is not accidental. In fact, this is a result of the trial in which U.S. Supreme Court decided to take side with New Jersey earlier in May and to legalize the sports betting all over the country. This was a closure to a battle that raged on for several years. However, New Jersey will only benefit from this decision as a #13 million in tax revenue is an expected income only from sports betting. 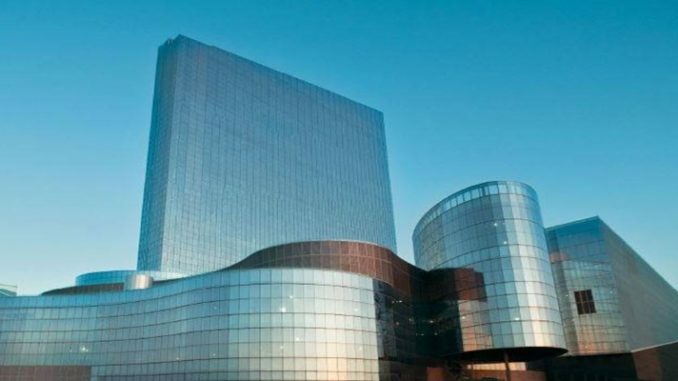 Ocean Resort Casino bought the space that was previously Revel’s and which was closed some time ago. Their primary objective was to revitalize and rebrand the resort and to improve it in some areas that were the major complaint subject. One of the chairmen of the AC Ocean Walk, a company responsible for Ocean Resort Casino, Bruce Diefik, stated that he planned to make this whole project family friendly by focusing on both catering the luxury casino guests and casino day trippers. Diefik also stated that they were thrilled to have William Hill as their partners as he believed that it was one of the best names when it comes to sports betting. He stated that they would do their best to make sports betting a unique experience for everyone who enjoys this type of entertainment.